Uber came and conquered the ridesharing market a decade back. There was no competitor for three solid years except a few insignificant regional players. Until the time it had a real competitor, the taxi dispatch app was already operating in six of the top global economies. Despite the arrival of many rivals, the growth of Uber did not halt – until 2013 when it launched in Asia. The company’s Asia expansion plan was identical to its strategy in rest of the world. The strategy did not immediately backfire. However, unlike Europe and North America, it could not leave a long term impact either. After making a decent start in China, Didi Chuxing started to overpower it in the country. In less than two years of China initiative, Didi Chuxing acquired Uber in 2016. The silicon-valley ride-hailing company faced a similar fate in Singapore as well where Grab was the conqueror. In the MENA region, Careem is the primary challenger. Thus, the regional ridesharing companies of Asia-Pacific, South Asia, Middle-East, and North Africa (MENA) are posing severe challenges to Uber. Besides, Uber is not only threatened overseas. Didi Chuxing and few other regional players are preparing to take the battle in Uber’s own backyard. Why is Uber unable to fly as high in Asia as in North America and Europe? Our research in the local dispatch taxi app companies offers an explanation. Owing to the widely varying ethnicity, western countries have a range of cultural demographics. However, each of these countries promotes a mutual culture which enables inclusiveness and globalization. In sharp contrast, native cultures and traditions are dominant in Asian and African regions. Uber initiated in Asia with the same model of delivering identical services in all regions. In other terms, Uber tried to implement the western model in Asian environment. The initial success follows from the fact that developing nations of Asia lacked a service prior to Uber. With a couple of exceptions, Uber was the pioneer in providing a comprehensive ride-hailing solution. The service was a massive relief from local taxi and mostly miserable public transport. However, it failed to sustain the growth with the advent of local startups. The services started by local entrepreneurs are highly personalized to the needs of native passengers. Careem, Grab, and Ola provide the three primary examples. The founders and top leadership of each of these startups are native individuals who understand local cultural norms. They ensure that these norms reflect in their ridesharing business model. Uber did not consider the formal training of drivers on harassment as an essential element. Consequently, the taxi cab dispatch app faced multiple allegations associated with security of passengers and drivers. 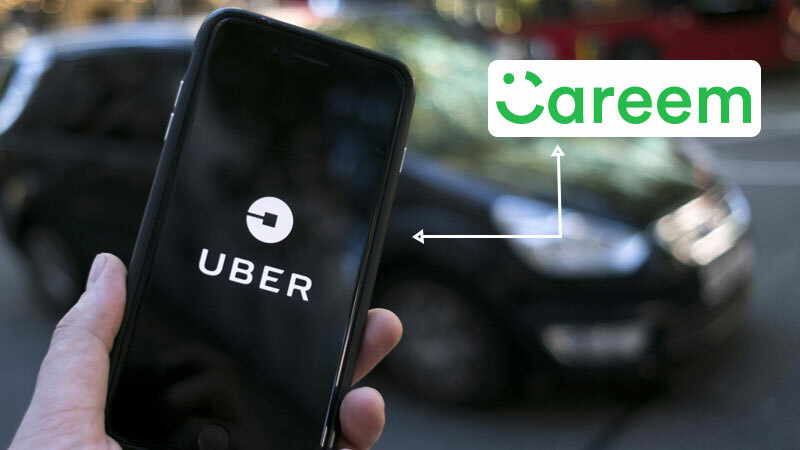 Contrary to Uber’s generic model, Careem addressed the specific problems of Middle Eastern and North Africa. The company’s advertisements reflect local traditions, unlike Uber which runs almost the same promotions as in the US. Careem Grab and Ola are relatively flexible in declining rides. They also offer virtual wallet because a significantly higher proportion of the population does not keep a credit card. Contrarily, Uber has a stricter policy for declining and payment. 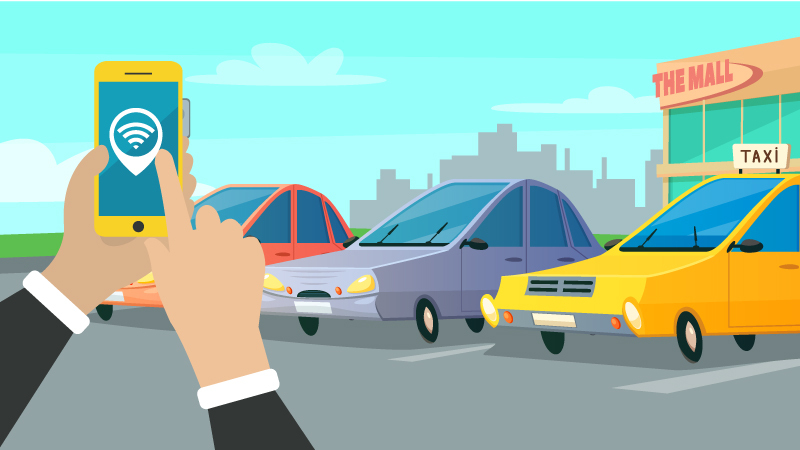 In a rapidly growing demand for ridesharing, it is unwise to view competitors as rivals. Partnership between companies enables them to expand profits. On the other hand, rivalry spills out massive costs in outperforming the competitors. 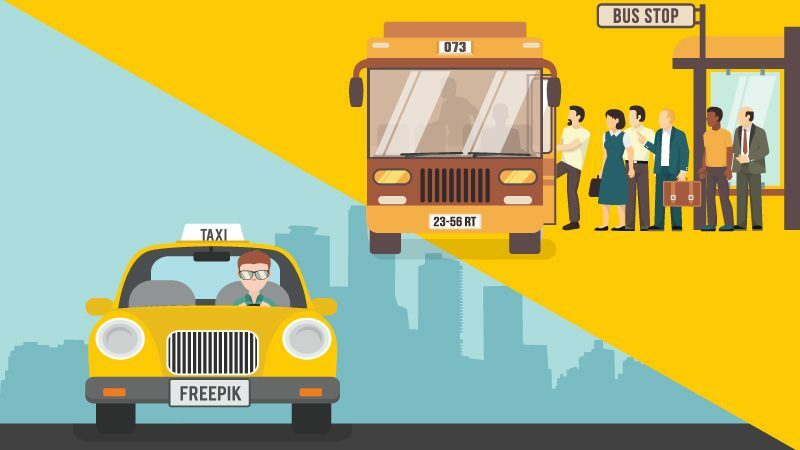 Asian Cab Startups are expanding with the approach of collaboration and mutual growth. China – the biggest rideshare market of $35.58 billion – made Didi Chuxing the king of country’s taxi dispatch app industry. With a massive 25 million rides/day, Chinese market is more than four times bigger than all of Europe combined. The company is also growing its foothold outside China with mergers and acquisitions. The successful mergers enabled Didi to value at $56 billion – more than Uber by a margin of $8 billion. Didi supports Careem in MENA, Grab in Singapore, and Ola in Indian peninsula to keep Uber at bay. Nevertheless, Uber managed to sustain some Asian business by keeping a part of shares in Didi and Grab. A percentage of 17.7% and 27% in China and Singapore respectively ensures a considerable revenue stream from Asia. This move also demonstrates the significance of collaboration in Asian taxi dispatch app market. After consolidating its position in Asia, Didi is pushing its foothold in South America with same partnership approach. If Asian rideshare companies continue to grow with the same strategies, Uber will soon be battling in its hometown. One significant hurdle in the way of Uber is its aggressive approach in dealing with regulatory bodies. Although Uber manages to continue services using its global influence, yet the approach creates a hostile environment for the company. The transport and taxi regulations widely vary in different parts of the world. Consequently, the local administrations back other flexible rideshare services to counter Uber. In sharp contrast to Uber, major taxi dispatch app businesses in Asia are cooperative with regulatory administrations. This cooperation may not help them immediately. However, gaining the regulators’ support assist them big time in the long run. Respect for employees may not be a compulsion, but Careem ensures to respect its drivers. This policy lifts the reputation of company far above Uber. Ola, Grab, and Didi besides Careem also ensure that they facilitate driver with efficient taxi dispatch driver app. Drivers earn significantly better than Uber. Global ride-hailing market is expected to reach $285 billion by 2030. Market saturation is not a problem in any region. It is the business approach of a company that may halt growth. Uber’s expansion model yields quick results, but it is volatile. In contrast, Asian rideshare giants are penetrating slowly but steadily. Entrepreneurs should respect local cultures and regulatory bodies. Moreover, they should perceive competitors as potential partners rather than rivals. CabStartup wants you to make your mark in the vast rideshare market. It offers free taxi dispatch app solution for a trial period. Get your hands on our product right now to test its efficiency. The number of ridesharing apps is growing every day in the US. Citizens often ask about the best app in terms of quality and financial management. Ridesharing drivers – which now account for over one percent of American households – also show keen interest. It is unfair to decide about the best rideshare app based on a single parameter. Besides, it is also unwise to compare modules for passengers and drivers simultaneously since they significantly vary. Analysts at CabStartup pick one rideshare app for driver and passenger each. Following is the criteria for best passenger side apps followed by editor’s pick. The assessment of best rideshare apps varies for different ranking agencies. Some value user-experience the most whereas others emphasize security. Again others focus on economic factors. 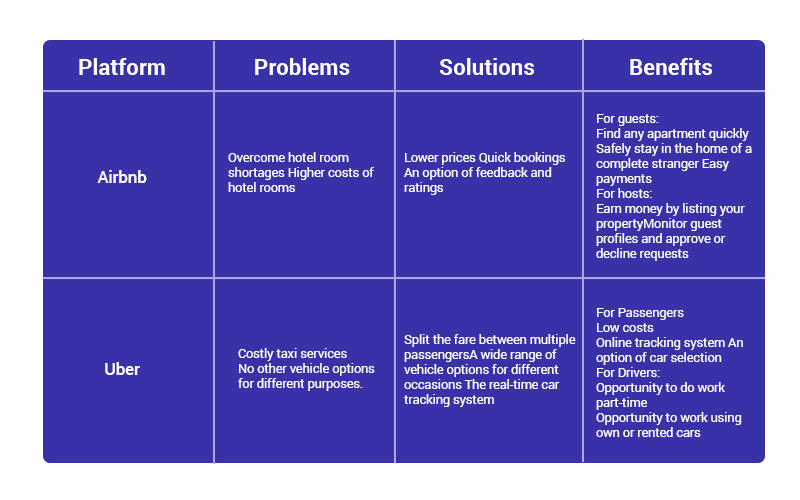 CabStartup evaluates ride-hailing apps for passengers based on the following evaluation criteria. While having many options at their disposal, urban residents prioritize economy – particularly when they travel frequently. To ensure reasonable fare calculation, top companies are using multiple algorithms. For instance, an efficient system should calculate fare based on time consumed as well as by distance covered. Besides, driver and passenger should be able to pause meter with mutual consent and administrators’ approval if vehicle breaks down. The app should allow carpooling to enable passengers to divide fare. However, carpooling should also ensure that it only picks nearby passengers to prevent excessive time consumption. Bonuses and promotions are parts of every ridesharing marketing model. Ineffective application of promotional discounts irks passengers who end up adopting an alternate option. Saving money is a priority but time is money too. A corporate worker aims to reach workplace on time whereas a movie enthusiast wants to enter cinema before show starts. Every passenger values time. Thus, the vehicle should reach the riders’ location in at most five minutes. Besides, it should be accessible at all times including past midnight and peak time. The number of operational regions is significant too. Via would have been the best app for passengers if it offered services in a considerable number of cities (No spoiler intended). However, it operates in only three US metropolitans as yet. Passengers who need to visit various cities should not require more than one app. It is rare to find a passenger who carries complete amount of dollars and cents in hard cash. Developers of app should not expect that passengers will pay full amount all the time. Thus, the top on-demand mobile apps provide the flexibility to pay via a range of methods. Credit Card and PayPal are most widely used payment methods in the US. Moreover, top companies also provide the facility to maintain a virtual wallet. The passengers can recharge balance or pay a previously unpaid fare. In the latter case, the in-app balance appears with a negative symbol as a sign of outstanding payment. Why is Uber best taxi app in USA for Passengers? Uber is undeniably the best choice for US ridesharing consumers when evaluated with above three parameters. The fare calculation is the most reasonable with lesser per kilometer and minute charges. Moreover, the base fare is also less than other top apps. However, peak time surcharge is substantially higher. Statistics from the company reveal that the service is available in 267 US cities – the most for any ridesharing service. By the end of 2018, the company held a 69.6% market share in the US. There is no significant drop in share despite growth of rival Lyft and scores of other businesses. Although Lyft alongside other rideshare apps is growing with time, yet Uber manages to maintain its market share. 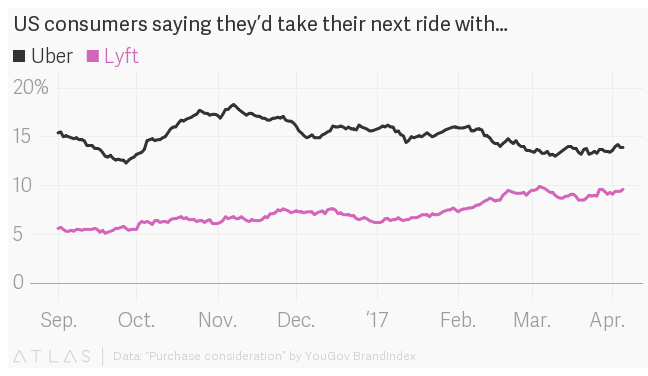 Moreover, since March 2017, Uber attracted more customers than Lyft. Uber offers a number of payment methods to facilitate passengers. Recently, it also started the facility of virtual wallet labeled as Uber Cash which enables travelers to fill the balance upfront. The driver module of apps usually differs from passenger modules. Following points provide the criterion for citing best apps for Rideshare drivers. Some apps are inefficient in calculating fare – especially when customers have promotional discounts. A percentage of revenue goes to company while rest of it is driver’s earning. The app should ensure that promotion and bonuses have little impact on owners’ profits. 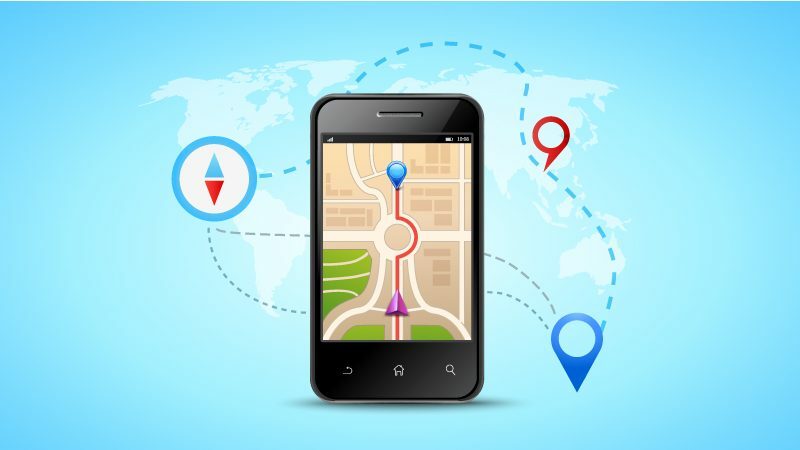 Route optimization is one of the most crucial aspects of ridesharing services. The driver should be able to find the most appropriate route to customer’s pick and drop off location. Two of the primary factors making route an appropriate one include distance and traffic congestion. The integration of an effective navigation system enables drivers to save time and costs. Google Navigation and Waze are the most widely integrated systems by successful taxi apps. Developers should ensure that the passengers are also able to track the ride and get an expected time of arrival. 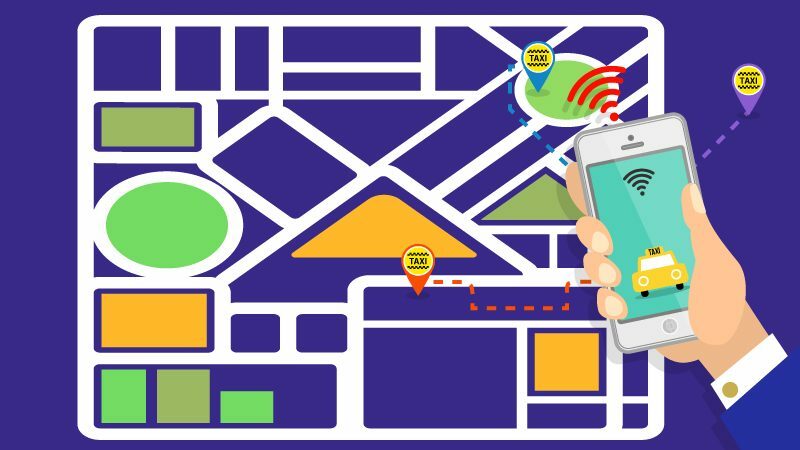 Both route navigation and tracking should be occurring in real-time. Research on ridesharing experiences of customers and drivers indicates that disputes are occurring more frequently than one would imagine. Hence, a robust scheme is essential for best rideshare driver apps which quickly and efficiently ensures settlement. Effectiveness of customer satisfaction system is one of the key differences between traditional and on-demand taxi services. Traditional taxi management requires phone calls or in-person meetings for settling complaints. People rarely bother to go through this pain and prefer not to lodge complaints. 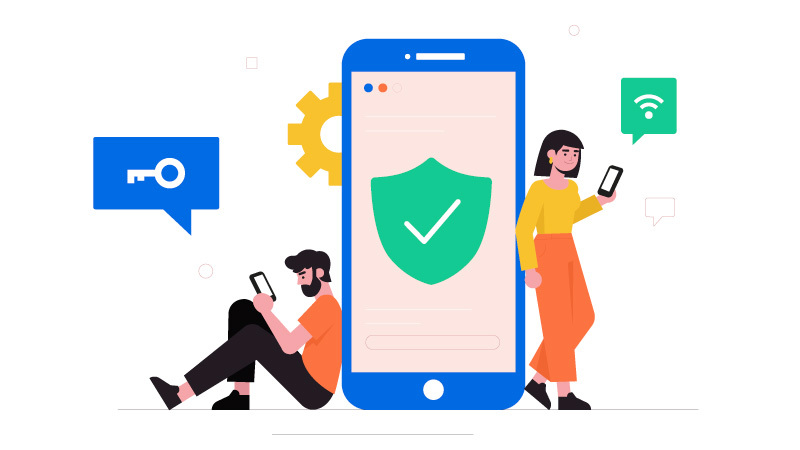 Therefore, a ridesharing app should have a comprehensive quality assurance and customer satisfaction mechanism. Lyft is the most driver-friendly app as evident from its fulfillment of above criteria. Many independent studies find that Lyft pays its drivers more than other top ride-hailing companies in the US. Some credible observers also confirm Lyft’s claim of paying $500 million worth of tips. Both Uber and Lyft have integrated route navigation and vehicle tracking systems. Passengers can track the ride in real-time while monitoring staff ensures surveillance. 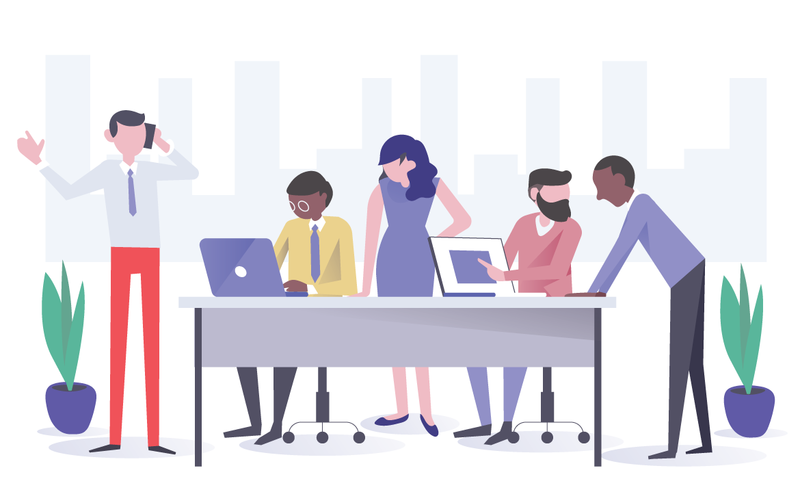 Lyft has an extensive system for customer support management which ensures that queries and complaints are settled in minutes. 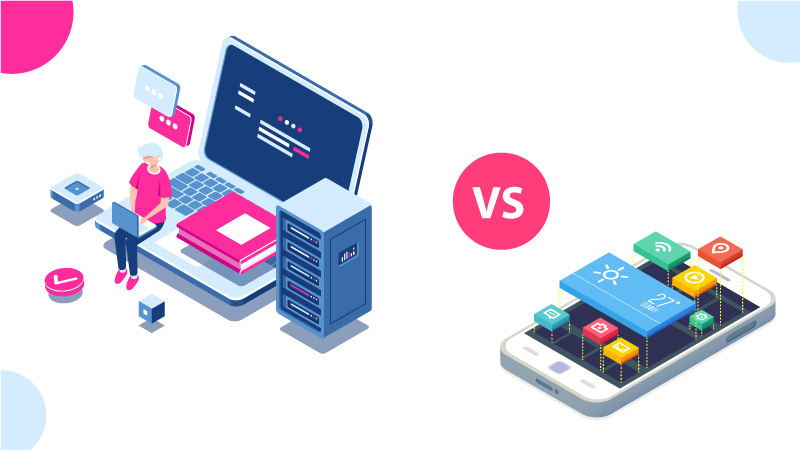 As our analysts find Uber and Lyft as the best rideshare service apps in the US, our cloud-based white label solution is a blend of Uber and Lyft characteristics. 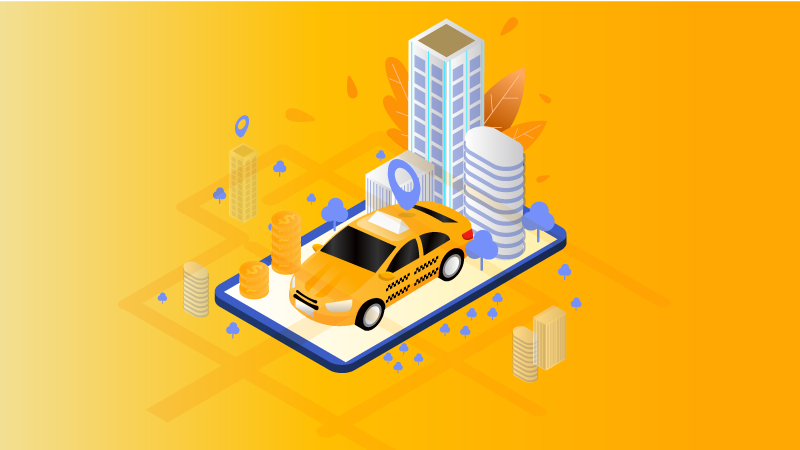 Besides, this solution also carries some unique features which are unavailable in top ridesharing apps including connection strength of passengers and drivers. It brings the flexibility to integrate more features in the future. 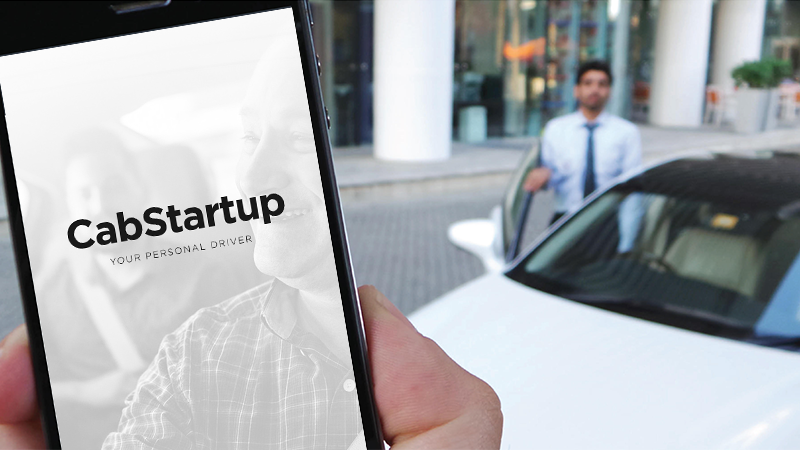 You can rebrand our white label solution for your on-demand ride-hailing business. Start your free trial right now to evaluate our solution. 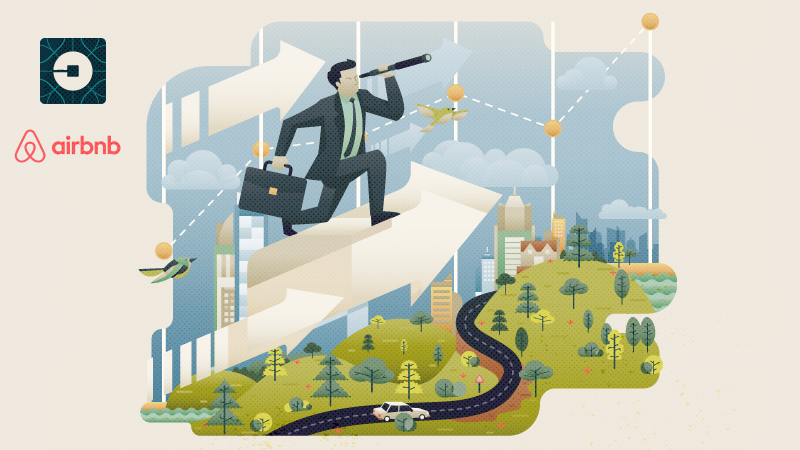 Ridesharing industries are redefining the means of transportation for years. The success of objective aimed at facilitating the customers by providing ride at one’s doorstep brought huge fortunes for companies. Transportation industry trends for the current year indicate that the upcoming developments will further strengthen ridesharing industry. 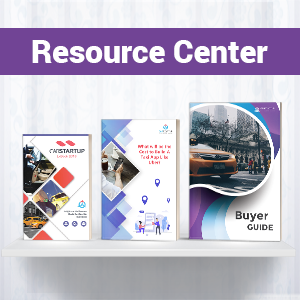 Transportation industry in 2019 is mainly focused on introducing the variety in types of vehicles. Companies aim to entirely replace the existing vehicle types with autonomous and hybrid vehicles. Bike taxi is making massive gains in all parts of the inhabited world. However, paratransit is the area where most transport entrepreneurs are taking a significant interest. Paratransit currently serves as the bridge between public transit and ridesharing systems. It boosts the element of inclusiveness so that every section of society may acquire decent transportation. For instance, paratransit is the top solution for disabled individuals and people trying to create a balance between time and cost. For over half a century, the manufacturers are trying to enable autonomy in vehicles. The degree of “self-driving” varies considering the expert opinion of previous decades. In the last two decades of past century, researchers failed to achieve a breakthrough in AI. Consequently, the pace of research in AI significantly reduced. The turn of millennium brought a landmark achievement by the development of efficient machine learning algorithms. Besides, the parallel developments in computer vision also enabled the manufacturers to classify objects from a considerable range and with impressive accuracy. Since the limits of autonomy keep expanding with innovations, the analysts have defined various levels of autonomy. As a standard, researchers consider automatic transmission systems as the first level of autonomy in vehicles. The two subsequent levels include cruise control and limited self-driving. This limited autonomy at level-three also includes maneuverability and speed adjustment. Level-four autonomy is the focus of transportation as the transportation industry trends 2019 suggest. Waymo already kicked off level-four autonomous ridesharing cars in Arizona at the end of 2018. Many existing ridesharing companies and emerging startups will follow in the footsteps of Alphabet Inc. to incorporate autonomous cars. With such a degree of autonomy, a vehicle is entirely capable of decision-making under all circumstances. However, Waymo keeps a driver only to intervene in extremely unusual situations. Entirely driverless vehicles may not be the last level of autonomy – unlike widespread belief. The understanding of customer behavior will enable the manufacturers to customize the car’s environment as per passengers’ wishes. With excessive traffic, regulators are facing a tough challenge of streamlining the traffic – notably, during peak hours. Many industrialists consider scooter as an appropriate alternative. The scooters remained the first choice of courier delivery companies which are now transforming to adopt drones. However, drones are highly unlikely to start commercial ridesharing operations before 2023. Thus, transformation toward scooter is sustainable development. The scooter services introduced by some transportation giants managed to sustain despite strong opposition from various segments of society. One of the primary concerns of critics is the absence of dedicated bike lanes. These bikes manage to drift between cars and trucks, but often slow down the traffic. Nevertheless, bike-taxi service will flourish because it facilitates users. Some of the metropolitan administrations in the US are arranging to regulate bike traffic by allocating fixed lanes. The regulations will not only assist administration but passengers and service providers too. South Asian countries with massive population densities are facilitating scooter ride startups. For an intense insufficiency of MaaS infrastructure, scooter service is the best bet. North America and Western Europe are leading with activities for preserving biodiversity. Environmental protection is becoming part and parcel of corporate laws. Administrations encourage businesses, often sponsor the ones, which travel extra miles for maintaining ecosystem. The transformation toward electric vehicles is attaining a remarkable pace. Travel and transportation industry trends highlight that the major ridesharing and commuting firms in developed world are aiming to adopt electric vehicles completely. In developing nations, the under-availability of electric cars and poor legislative framework allow companies to continue with same thermal vehicles. The rapidly growing competition is pushing ridesharing companies to introduce electric vehicles before rivals. Passengers also want quick transformation toward electric cars. A survey indicates that up to 85% of passengers can tolerate slight delays in return of environment protection through electric vehicles. Toyota’s one billion dollar investment in Grab is intended to introduce its Fuel Cell Electric Vehicles in ridesharing. This introduction will also motivate other services to acquire electric cars. The apparatus for smart transportation system is almost complete. Vehicles offer an adequate amount of connectivity and autonomy. Electric vehicles are already commercialized since long. Now, the ridesharing and commuting companies are waiting for implementation of a comprehensive framework which regulates a network of mobility. A shared network of transportation with mutual control center will emerge soon. Analysts expect that some cities may feature a limited version of shared Mobility as a Service before 2019 concludes. Governments are welcoming the recent startups as well as established companies to start shared mobility in businesses’ capacity. In the long run, shared mobility will also include drone taxi. The air transportation industry trends indicate that 2019 and a couple of subsequent years may not see a flying taxi. Nevertheless, they are inevitably going to extend MaaS in the upcoming decades. 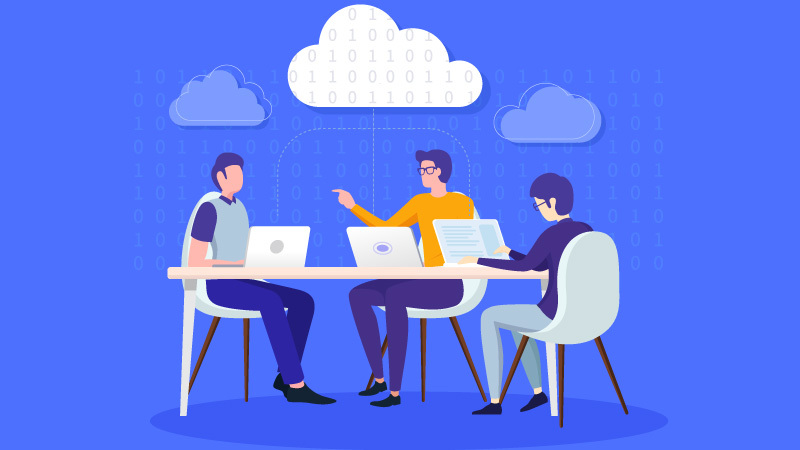 Future trends in transportation industry – particularly the ones in 2019 – indicate some drastic changes. 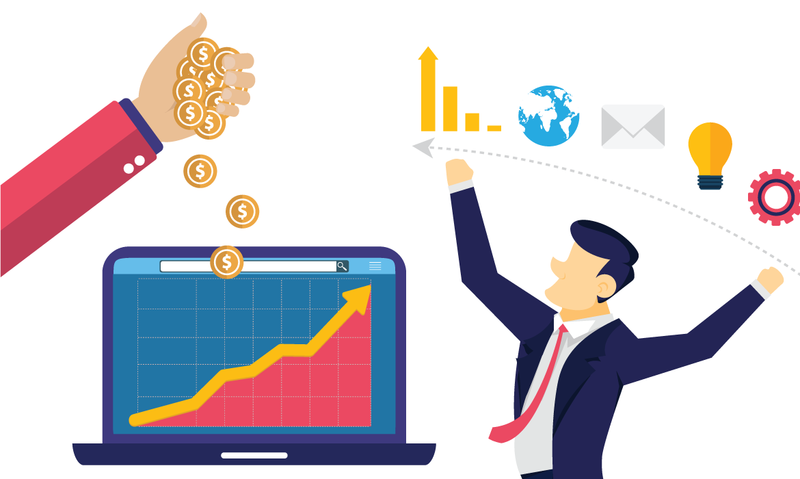 The major shareholders in the industry are already preparing to implement one or more of these trends. However, the probability of success for startups is remarkably high due to the demand for these services. Move ahead of your competitors by incorporating one of these futuristic technologies. 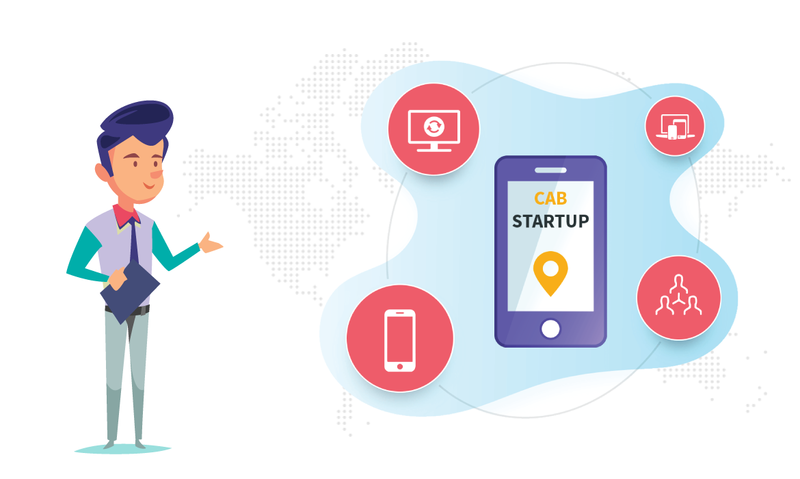 Start your free trial with CabStartup today to customize our framework to your business needs. The entrepreneurs are often uncertain about picking the right industry for investments in transportation. In urban regions around the world, services offering radio taxi, ridesharing, and public transport are major stakeholders. Although each of these industries provides limitless opportunities, yet a comparison is must to find the best choice. Ride-hailing and commuting industries have wide-ranging dynamics. There are circumstances when urban transportation industries supplement each other. However, it may not be the case all the time. The market share of each of these industries overlaps. Many commuters take more than one traveling mode. For instance, a passenger may utilize a taxi as well as public transport for the same trip. In some cases, this overlapping increases competition whereas they complement each other in many circumstances. Top businesses in all three industries work in collaboration and partnerships with auto manufacturers. This practice enables both commuting and vehicle manufacturing industries to cut costs and enhance profits. Each service plans to introduce level-five autonomy for radio taxi service by the end of 2030. Level three was commercialized a few years back. Some ridesharing companies – including Waymo from Alphabet – are introducing level-four too. Autonomous vehicles are part of the global vehicle traffic sustainability program. 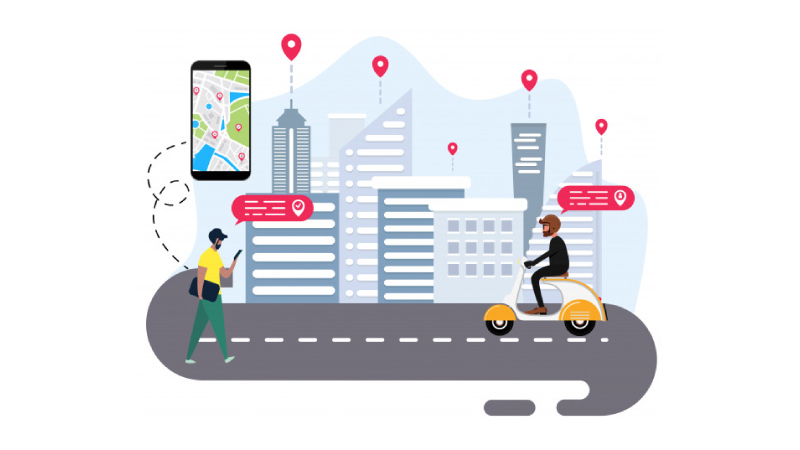 Ride-hailing services from every industry are incorporating IoT devices to create a connected environment. In such a setting, commuters can connect with service providers without meeting in-person. Apart from booking rides, connected vehicles also provide the ability to control utility operations through voice commands. By creating a shared environment, every commuting service operates in a shared space. In such a space, vehicles communicate with each other so that riders take the nearest vehicle, may it belong to any industry. Analysts project that shared spaces will be part of smart cities in the upcoming five years. Electric cars are rapidly growing in numbers. Regulators also promote these vehicles since they leave a small carbon footprint. Each of the three commuting industries is playing a role in phasing out private vehicle ownership. By significant improvements in radio taxi cab, ridesharing, and public transport, number of private cars will be very limited by 2025. These similarities inform little about the distinct strengths and weaknesses of each of these industries. However, their operations fundamentally vary. Radio taxi services enable indirect connection between commuters and drivers via a third agent through phone call. An aspiring passenger calls the service center to seek a taxi and shares one’s location. In response, the agent finds the taxi that is available nearest to customer. Radio signals emitting from a device in taxi allows agent to find the location. Administration monitors this system with radio taxi scanner app. The monitoring staff including call redirecting agents can operate from a remote location through an admin panel. This service is the best choice for investment in regions where smartphones and high-speed internet is unavailable. Some companies are also introducing radio taxi app for administration. Decades back, the introduction of radio taxi dispatch system was aimed at replacing public transport. Although this service did not replace other means of transport, yet it created its space in commuting market. With 4G internet availability, ridesharing services are growing in cities. However, radio taxi is cheaper than ridesharing for lower cost of operations. Many regions are highly unlikely to get internet in upcoming times. Besides, radio taxi GPS system ensures more security of drivers and passengers by registering vehicles against each driver. Every driver should be qualified for official transport badge apart from the license. The unavailability of this regulation in most of the ridesharing services is a drawback of ridesharing industry. Despite significant gains of ridesharing industry, radio taxi managed to keep its share of urban transport market. This factor indicates that radio taxi industry is not facing any immediate threat from competitors. On-demand ride-hailing is one of the fastest growing industries. By 2017, the market of ridesharing topped as high as $36 billion. At the current growth rate, this value will reach a massive $285 billion by 2030. Ridesharing is dominating every region where the services are available. The companies in this industry are among the top billion dollar businesses. Comparing on-demand cab with public transit and radio taxi in the past decade reveals higher probability of success for ridesharing. Services like on-demand shuttle will increase efficiency by transporting more people without consuming excessive space. Moreover, innovations like Uber-Bell Nexus will satisfy customers as well as regulators. It will assist in solving traffic problems and will yield decent profits in the process. However, regulatory problems pose some threats to ridesharing industry. Regulators around the world are demanding service providers to register vehicles and drivers with official transportation bodies. Radio taxi and ridesharing may impact public transportation, but it will maintain a considerable proportion of commuters. There are a number of reasons. 1. Subways and buses are the best choices for inter-city traveling – especially when the distance is under 200 miles. Public vehicles have dedicated roads which allow them to traverse distance in substantially lesser time at high speed. 2. A significant percentage of commuters prefer cost over comfort. Although modern public transit systems ensure comfort, yet the passengers need traveling to the station. For this reason, analysts project that public transit is irreplaceable. 3. The sustainability goals of the United Nations include reducing the number of vehicles. 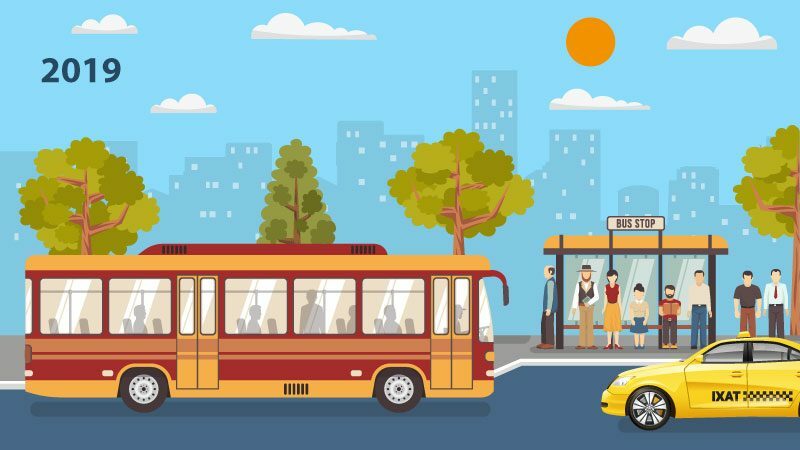 Since public transport enables hundreds of people to travel simultaneously, it eliminates the need for vehicles for individuals. 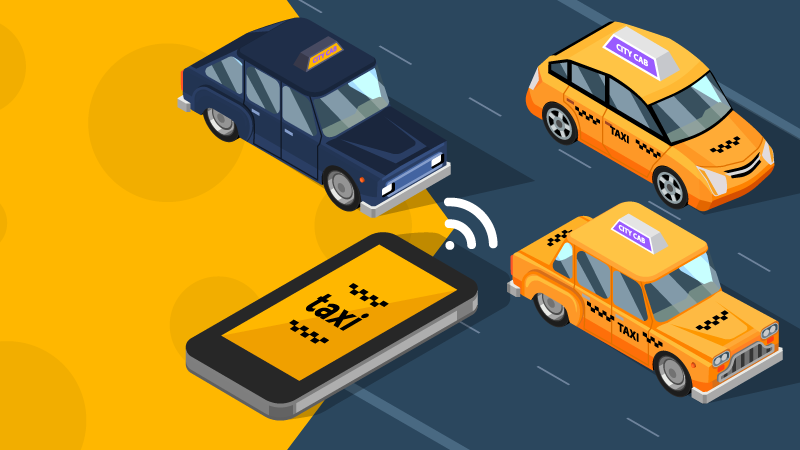 The comparison between three major players of urban transportation indicates that ridesharing and public transport are not threatening the existence of radio taxi. Investment in the most appropriate market ensures remarkable returns. Besides, efficient technological incorporation enables the transporters to streamline their business operations. 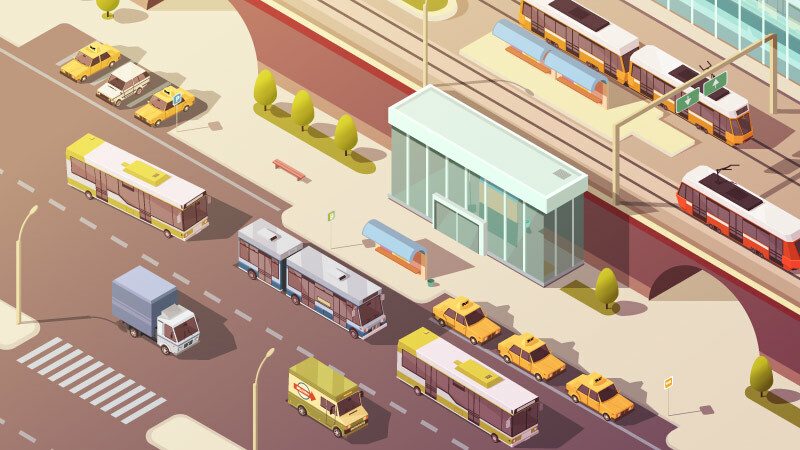 Reach the top of urban transit industry with our matchless ride-hailing framework. Do you lack the technical background? You can customize the framework as per your business needs without technical understanding! Start your free trial today.